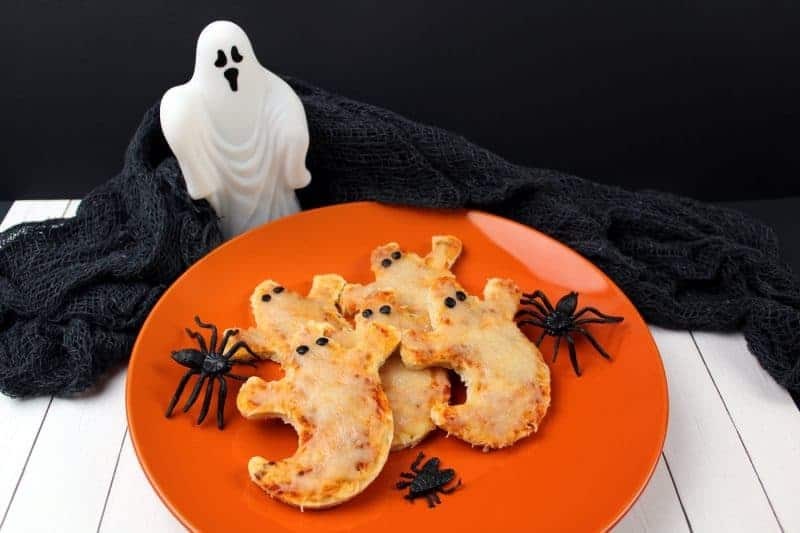 Mini Ghost Pizzas are quick and easy to prepare and make the perfect dinner or snack for all the ghosts and ghouls at your Halloween Party. Let’s face it. Pizza is a classic go-to option on Halloween. But who said it had to be delivered? Why not get in the kitchen with the little ones and make something fun? 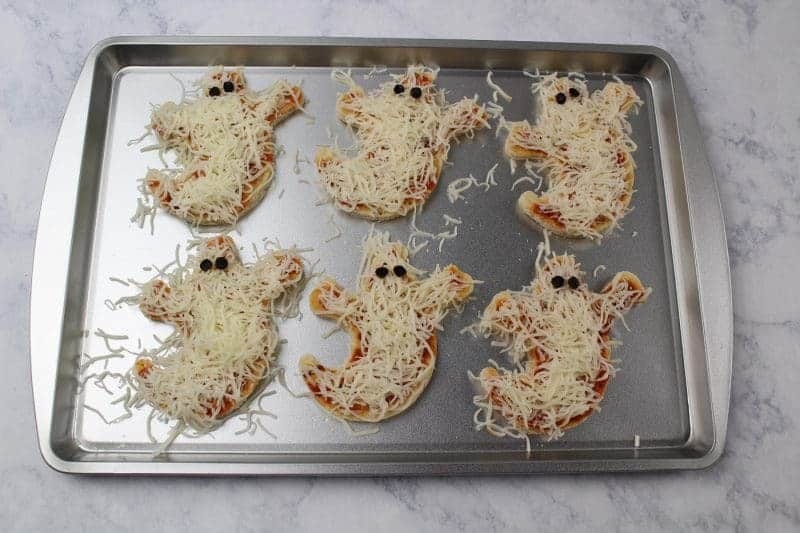 Your kids will love making these spooky Mini Ghost Pizzas. 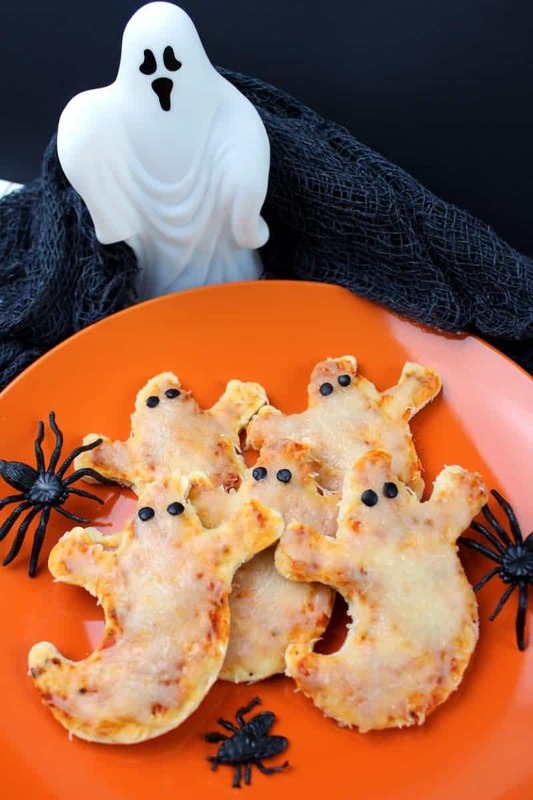 And you will love how quick and easy this Halloween meal is to make. 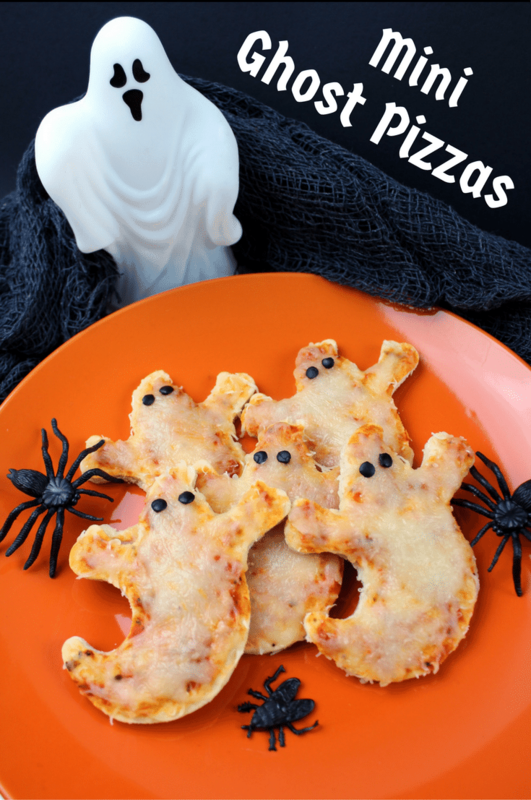 For this Halloween dinner recipe, you will need some cooked pizza crusts. Of course, you have the option to make your own crust if you have the time. But ready-made pizza crusts work great as well. You’ll also need some strong cookie cutters to get through the crust. 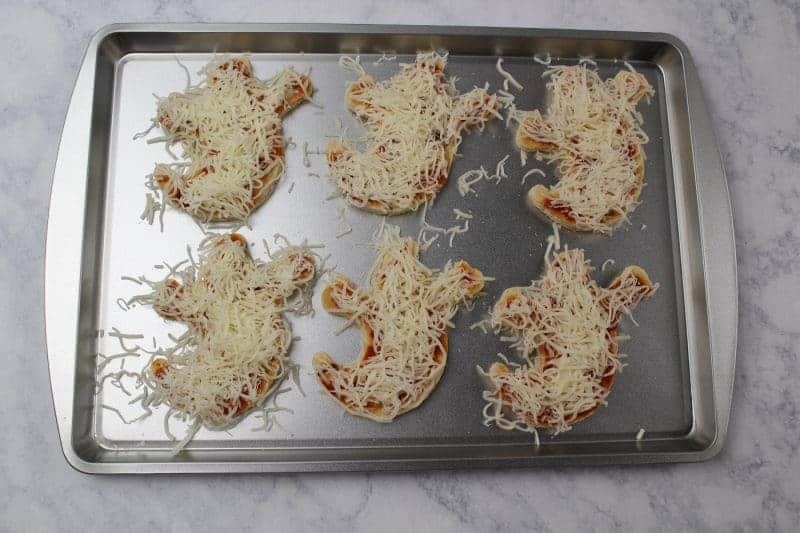 By the way, this Halloween pizza recipe would be an excellent way for kids to spend time during a Halloween party. The kids could all make their own pizza. Best of all, you won’t have to spend a small fortune on enough delivery pizza to feed a hungry crowd of ghosts and ghouls. If you wanted to make these for an adult Halloween party, consider making them ahead of time and freezing them before you bake them. You would need to increase the bake time, but this can save you time on the day of the party. 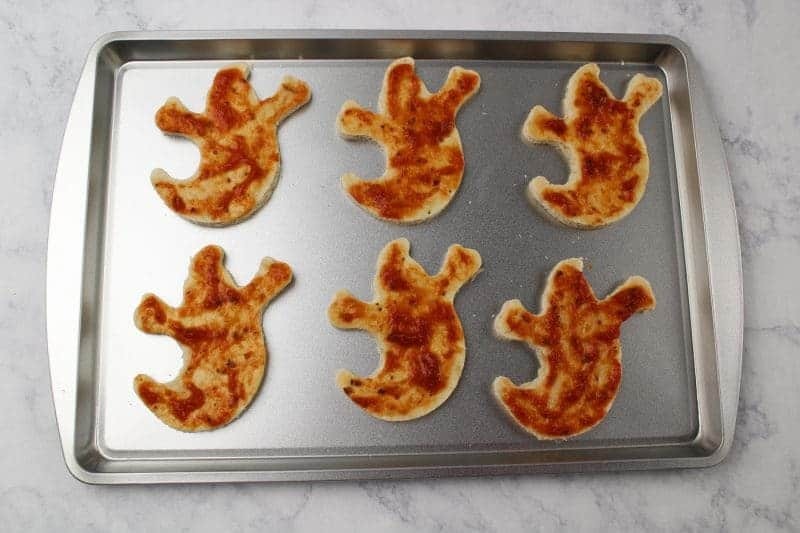 Use a cookie cutter to cut ghost shapes from cooked pizza crusts. 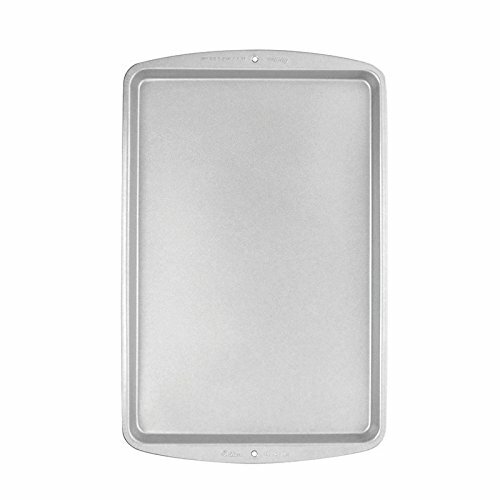 Place the pizza crust onto a cookie sheet. Use a spoon to spread pizza sauce over them. Next, carefully cover each pizza with mozzarella cheese. Then, use a straw to punch out eyes from black olives. Place eyes on top of cheese. Follow the cook time on the package of pizza crusts. 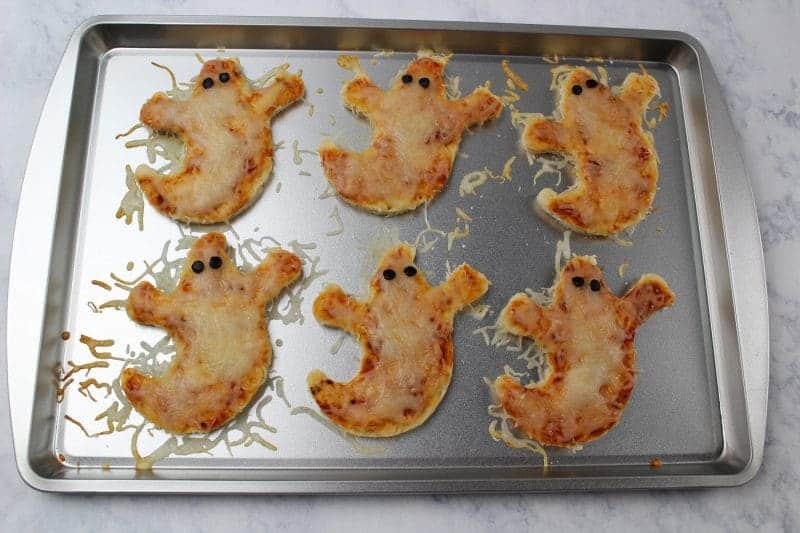 Finally, remove the mini ghost pizzas from the oven and serve immediately. 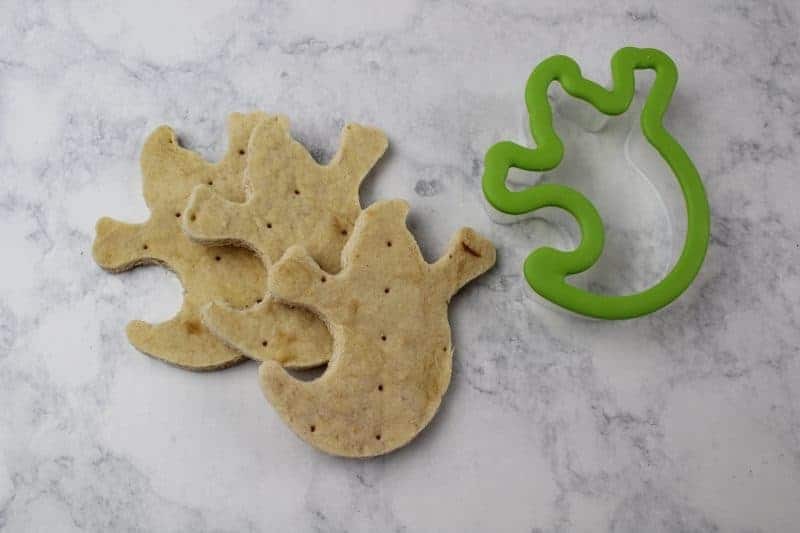 While this recipe is to make ghost pizza, you can really use any Halloween cookie cutters you would like to create other shapes of mini pizzas. 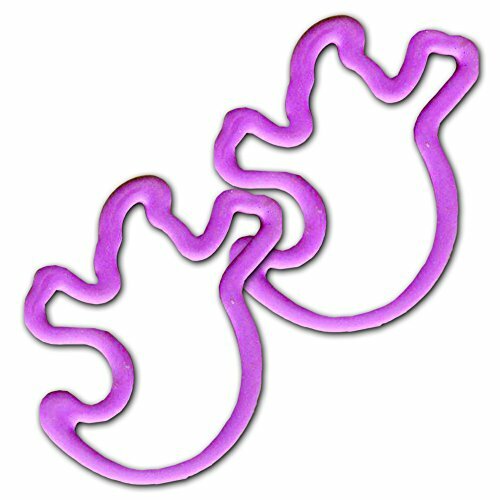 Pick up a set of Halloween shaped cookie cutters and et the kids get creative! The toppings we used were very simple: sauce, cheese, and black olives. 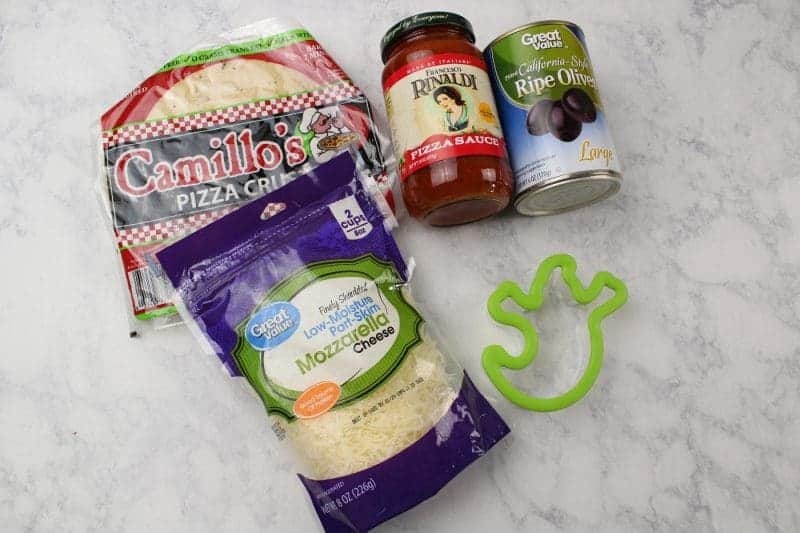 However, if your kids are making different shapes, a variety of vegetable toppings could be used to make colorful and healthy pizzas. Have fun with it! Carefully cover each pizza with mozzarella cheese. Use a straw to punch out eyes from black olives. Place eyes on top of cheese. 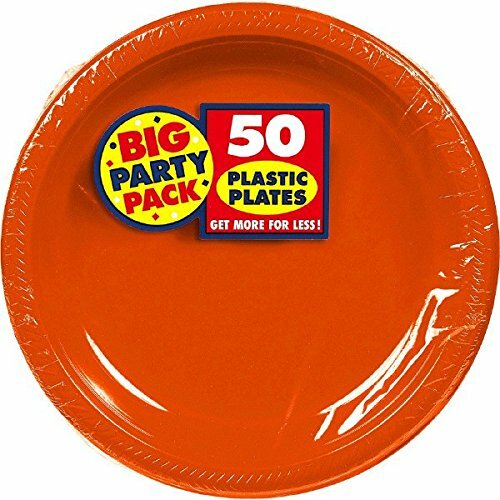 These are adorable for Halloween parties!!! I love this recipe! I featured them in my Halloween Food roundup on my site! Thank you so much for featuring this fun recipe on your site Daire!